5 DLC bundles stated to appear in Defiance thus far. We’re only a week into Defiance’s release and there’s lots of talk about fixes that need to be addressed. 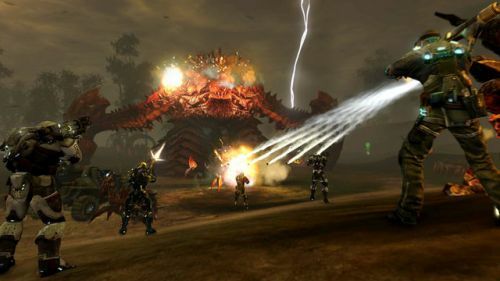 The Trion World’s Twitter account seems to be where most of the public is voicing their concerns, abuzz with server concerns and lag issues. 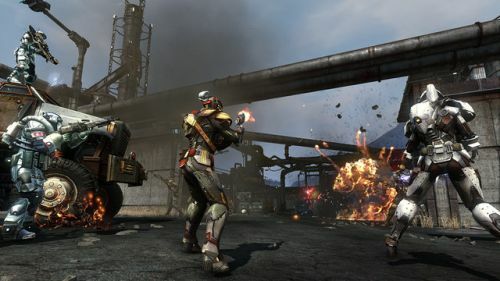 Rest assured Defiance players: Trion Worlds is taking note and is hard at work to buff out the rough edges of the game. US XBOX – Our battle with this server cluster continues. I’d put swearwords here but I think you can hear me in your head right now. You will have noticed some great server moments in the last 24 hours, some not so great. We continue to re-configure, deploy fixes, roll some back, try something different, measure, analyze. There’s just so many of you shooting so much. If you could just be nice and all get along. Hellbugs have feelings too you know. This is by far our top issue. We’ve thrown a ton of more hardware at it (we had reinforcements ready), changed client-server protocol to remove load balancing setups to have less moving parts and a host server code changes. Connectivity and patching – This one is still on the list. There are so many new players joining us and we even have a few of you which are still patching. We’ve deployed patches, reconfigured contend distribution networks and continue to do so based your reports of where you are in the world having problems. There will be a patch within the next week (possibly April 15th) that will address some of the more problematic issues, such as lag, visibility, and signal to noise ratios, with another appearing about 2 weeks after that. These, however, will push the DLC back a bit due to the amount of fixing that has to be addressed. The good news is that we’ll be receiving 5 different DLC bundles, all with free and paid components to them (i.e. new playable races will be purchasable, but not features). Stay patient folks! Next week, the Xbox certification process should be done and set to make the 1st patch hit LIVE. Page created in 0.3489 seconds.